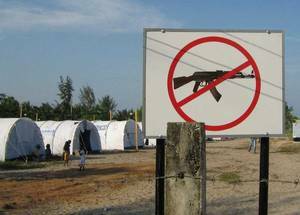 The Arms Trade Treaty will only be as effective as its contents and language prescribes. Through the diplomatic efforts that have been displayed in the ATT process so far, we have seen numerous interests and forces pulling in many different directions. In our campaign and lobby efforts it is therefore important to highlight the areas that to the greatest extent protect and save human lives and human dignity. The ATT must contain unequivocal criteria for arms transfers, so that there will be very little room for varying interpretations from signatory states. An International Committee of the Red Cross study, commissioned by states in 1995 and published in 1999, concluded that the widespread availability of arms facilitates violations of international humanitarian law and has damaging consequences for civilians during armed conflicts. As long as weapons are too easily available, serious violations of international humanitarian law will be made more likely and the provisions of humanitarian assistance endangered. All existing human rights agreements, including the UN Charter, should be honoured and named in the Arms Trade Treaty, as they further substantiate both the need for, and the legitimacy of, a strong and effective global arms regulatory system. The ATT should therefore reflect all States’ obligation to ensure respect for international humanitarian law and human rights by making them fundamental criteria on which arms transfer decisions are made, so that the weapons do not end up in the hands of those who may be expected to use them in serious violations of already agreed upon norms and standards. 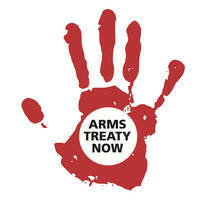 The Arms Trade Treaty should include all conventional weapons. The inclusion of small arms and light weapons is essential for a treaty that meets the needs of those most affected by armed conflict. Small arms and ammunition are used not only as tools of war; they are used for security, crime, coercion, protection, to incite fear and maintain peace and order. Regulating the trade of small arms and ammunition helps ensure that they are used as tools for justice, and NOT as weapons for terror. The devastating impact of conﬂict, armed crime, and all forms of armed violence around the world is clear and present for all to see. Armed violence closes schools and churches, fractures communities, overwhelms health care systems, and discourages investment and economic productivity – altogether making lives and livelihoods insecure. 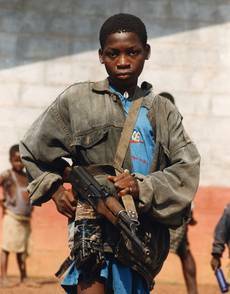 The physical and immediate threat of danger from the use of arms displaces people, causes injury and even death, while state and non-state spending on arms or arms races can divert vital funds from public services such as education and health care. When spending on weapons takes place without accountability and transparency, it can aggravate corruption and facilitate human rights abuses. According to the World Bank’s World Development Report, there is not a single country experiencing armed conﬂict that will achieve a single Millennium Development Goal. The irresponsible trade of arms across borders clearly has a lasting impact on the lives of women children and families. The ATT has the opportunity and responsibility to name this reality and build mechanisms within the trade policy to address the needs of women directly. The need to provide assistance to victims of irresponsible and illegal arms transfers is an integral element to a successful Arms Trade Treaty. Manufacturers, companies, brokers, and governments that deal in arms should be held accountable for conducting their weapons trade responsibly, and for the misuse of illicit weapons when they do not. This includes meticulous documentation in order to trace weapons and ammunition and the purpose of sales and transfers. 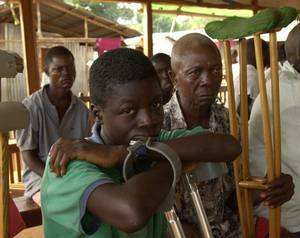 Additionally, the special needs of vulnerable groups must be taken into account. Victim and survivor assistance does not have to be a system of reparations or direct payments; however, provisions for access to medical care, rehabilitation, and psychological support, as well as other social and economic programming will help them and hasten the process of post-conflict reconstruction and peace building.